My daughter is living in a miraculous age where she has seen a woman run to be President of the United States, women go into outer space and women build empires. Thanks to her teachers at school, she has also learned about female leaders like Malala Yousafzai, Rosa Parks and Anne Frank. Not all influences my daughter is exposed to inspire her to conquer the world. Thanks to media and society, she is also learning that only model-type women should wear a bikini, that your looks are equally important as being kind and that you shouldn’t draw attention to yourself. At six years old, these mixed signals caused her to decide she could no longer wear a bikini! For the first time in her life, my daughter was limiting what she could or couldn’t do based on what others believed. Wasn’t I raising her to believe she could do anything? It was time for me to take a long look at how I was raising strong, confident girls. 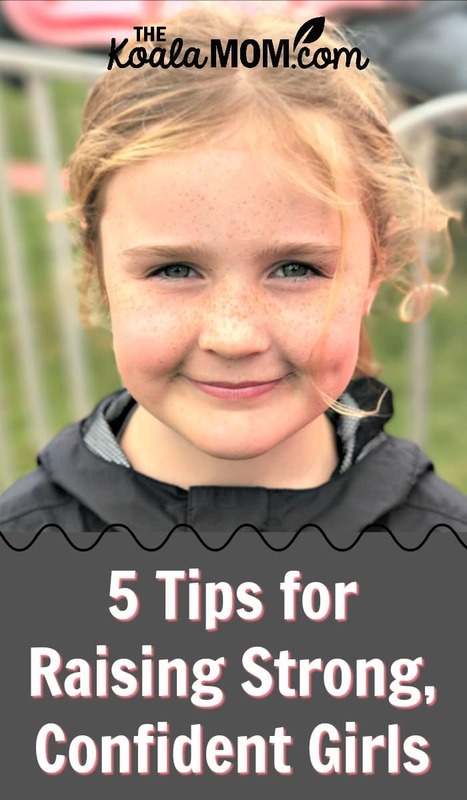 Here are some of the lessons I learned and implemented to build my daughter’s confidence and skills to navigate the confusing years ahead. I realized I had let the confident go-getter aspect of my personality take a back seat, whether because of maturity, focusing on children, being married, or having accomplished some goals. It wasn’t until I started seeing myself through the eyes of my daughter and asking myself what type of role model I wanted to be for her that I understood. I had to be the confident woman I wanted my daughter to look up to. Watch what you say. Keep it positive. It’s not just what you say, but how you say it. I see some moms talk and cannot help but think their gossiping would be considered bullying if they were eight. Speak clearly, with confidence and look people straight in the eyes. People who are unsure have a tendency to mumble and look towards the ground. It’s never too early for girls to learn to stand up tall and show confidence through body language. Promote a positive body image. Stop apologizing for your body in any context. This was a hard lesson. If I expect my daughter to love her body, I had to lead by example and love my body. Say what you mean and mean what you say. We have all been the mom who is overwhelmed and replies “Yes, okay, whatever, later.” Make sure you back up your words with the right actions. Remember they are always watching. Even when you think they aren’t! Every child is different and sadly children on the playground love to point out differences. Help your daughter embrace her individuality. If you are able to do this at a young age, it will help her as a teen in developing her individual identity. Once she shows an interest in something, foster opportunities for her to develop her interest, especially if it’s something different than most. Remember not everyone is good at the start. Let her fail and encourage her to continue. Highlight how she learned from her mistakes to overcome problems and that her continued effort paid off. Being active is probably the easiest thing on this list to build confidence. Whether it’s ballet, swimming, dance, soccer, skating, etc., there is no limit to the amount of sports available to children of all ages. Not only is learning and developing a physical activity confidence building on its own, but if it’s a team sport there are added benefits. 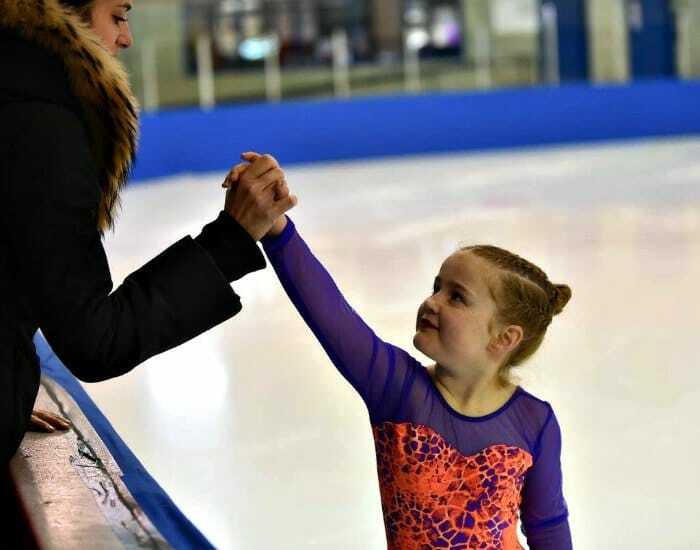 Encourage your daughter to find a sport she likes, even if it’s not the sport you hoped she would choose. 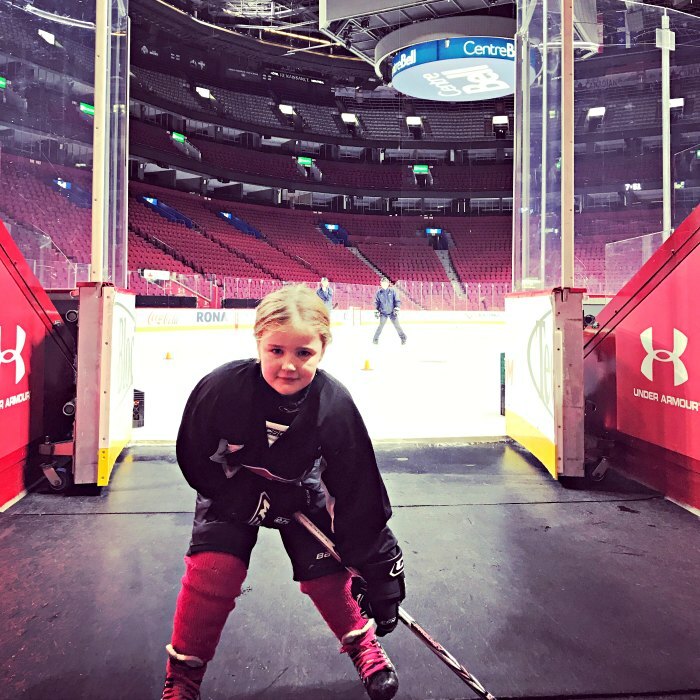 You could decide your daughter can play one sport of her choice and one you choose. Even is it’s going for a walk or a swim rather than an organized sport, being active will instill a great appreciation of her body for it’s strength, not just it’s beauty. Studies have proven that successful young women are raised by parents who believe in them and tell them repeatedly that they can achieve anything. This is particularly true of young children who measure their worth by how their parents react. Say things like “Good job”, “I’m proud of you”, “You can do anything”, it’s easy! If you tell them enough they will believe it. If they believe it, it will become true. When giving a compliment (which you should do often), don’t just focus on looks and popularity. Demonstrate that schooling and academics are important too. Make realistic compliments focusing on her specific improvements and achievements rather than the end result. It’s important in today’s world that we teach our daughters that they are in charge of their bodies. This is as much about safety as overall confidence. At a young age, my daughter was ridiculed for preferring to wear sports jerseys/shorts rather than dresses. Although her reasoning that they were more comfortable and she could cartwheel in them made sense, it didn’t make her feel more accepted. In an effort to show her positive, empowering examples, we watched movies like Bend It for Beckham and A League of Their Own. The most important thing in raising strong, confident girls is to remember is that your daughter is an individual. Listen to her and let her guide you in how to best nurture her strengths. While she is working out what her interests are, take every opportunity to highlight and expose your daughter to positive role models. Whether it’s reading a book with strong female characters, going to see a movie or talking about latest news, use the opportunity to guide her. You never know what will resonate and influence her, so don’t waste an opportunity. What has helped you in raising strong, confident girls? Paige McEachren grew up in Newfoundland and now calls Montreal home. She has twenty years of experience in corporate communications and now keeps busy as mom to two children. She blogs at Piece of Pie about raising kids with ADHD, trying to keep experiencing life and not lose yourself, aging not so gracefully, living a downhome life, giving back, trying to be healthy when you love chips and wine, and much more. You can also find her on Facebook, Twitter and Instagram.